While we previously argued that the exploration of senses is not yet advanced for all of our senses, there have been some attempts in development trying to improve the implementation of senses in VR. With the consumer HMDs that have been released in the past weeks, the only senses strongly stimulated are sight, hearing and to some extent tactile senses. However, the senses of smell and taste are so far very unexplored. The company Feelreal, Inc. is developing a mask for notable HMDs that targets our tactile sense and our sense of smell. The masks can be clipped to the HMDs and feature microheaters, microcoolers, vibrating units, an ultrasonic ionizing system that produces water mists and an odor generator that can be equipped with up to seven different scents. The inside of the Feelreal mask concept. Unfortunately, their kickstarter failed to reach the targeted sum, and while they explain that development will proceed no matter what, we have not been able to acquire more recent information than from Q2 2015. The product might stay in concept state, or development might be delayed. However, it shows that engineers are not completely neglecting the implementation of senses in their products. Not only could it increase the possibilities for developers, it would also increase the experience of the viewer. Approaching more senses in the virtual environment would lead to a higher level of both presence and immersion. In our opinion, the odor generator is definitely a game changer in the area of VR, and we can already imagine many different applications in tourism. Smells they are offering for purchase include Ocean, Sea, Jungle, Flowers and Field, among many others. This could offer destinations a unique chance to present themselves in VR, releasing smells corresponding to the images shown in their VR showcases. A rather dated project implementing even more of our senses, namely all five of them, is a proposed HMD that is being researched at five English universities. The Virtual Cocoon, the researchers say that the experiences will be so realistic that they call it real virtuality. From all we know, it is also still in concept state with no new information in the past few years. 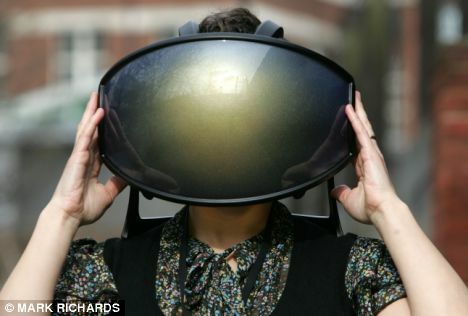 We have to admit that this particular HMD does not look very comfortable and convenient to wear, but perhaps not only the technical features, but also the design is still considered a work in progress. Unfortunately, we do not know about the current status of development, but the project of the Virtual Cocoon proves above mentioned point that some engineers are thinking about new concepts for the advanced implementation of senses. Let’s see what future developments will accomplish! Do you know of other projects involving senses like smell or taste? Share them with us! Holoportation and its application in tourism?